Atlanta Employment Firm, Staff Financial Group Inc the parent company of the Career Coaching Group.net, launches OneMinuteInterviewTips.com, a website for job seekers hosting Instructional Training Videos that are "Easy to understand tips and strategies that help job seekers navigate the interview process and leverage technology in their career search." Staff Financial Group Inc, launches One Minute Interview Tips.com providing Job Seekers free Instructional Videos that are easy to understand tips and strategies to help navigate the job change process. OneMinuteInterviewTips.com provides job seekers video training tutorials on many subjects including the secrets of marketing themselves in a Web 2.0 world. As a more cost effective solution to high priced job boards; employers are now turning to blogs and social networking sites to find candidates. Job seekers that do not keep up with the latest recruiting trends and technology are going to get left behind. 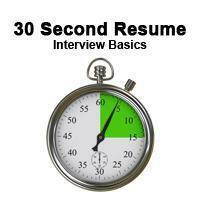 One Minute Interview Tips.com is free for Job seekers, they simply register at the website and start receiving easy to understand videos on interview tips and strategies that help them navigate the interview process and leverage technology in their career search. Current topics include: How to create your "30 Second Resume"; How to use LinkedIn in your job search; Video Resumes - Leveraging the Power of Video in Your Career Search; The Hidden Pitfalls of a Lunch Interview; How to organize your search with FREE online tools; How to create a Marketing Email to sell yourself; and more. While new videos are added continuously, candidates can also request answers to their most burning questions. In addition to the on-line videos, job seekers who register can also subscribe to the Career Coaching Group.net for more in-depth tutorials and tools on how to market themselves in a down economy including a 22-minute video on "How to Get a Job in a Recession". Site founder Gus Cawley observes, "Candidates spend tens of thousands of dollars on their education; they work countless hours building their careers but no one has taught them how to market themselves effectively. Most job seekers do not know what to do or even where to begin their job search. We built CareerCoachingGroup.net and OneMinuteInterviewTips.com because our candidates were getting displaced due to the economic downturn and didn't know what to do first. In some cases, candidates with years of service were shocked to get their pink slips with little to no warning and minimal severance if any." In addition to One Minute Interview Tips.com and Career Coaching Group.net, Gus Cawley is owner and founder of Staff Financial Group a leading provider of search and staffing services for accounting and finance professionals, whose client base includes top CPA and consulting firms as well as Fortune 500 organizations. He is also the owner and founder of The LawStaff Group a specialized Atlanta legal staffing firm.